Every time his partner, Megan Keefe, myself, or the other cooks got on the truck, he’d yell “Welcome to the party, pal!” It was funny at first, but concerning after the first few times. Pastor spent a year developing his recipes, especially the crust. 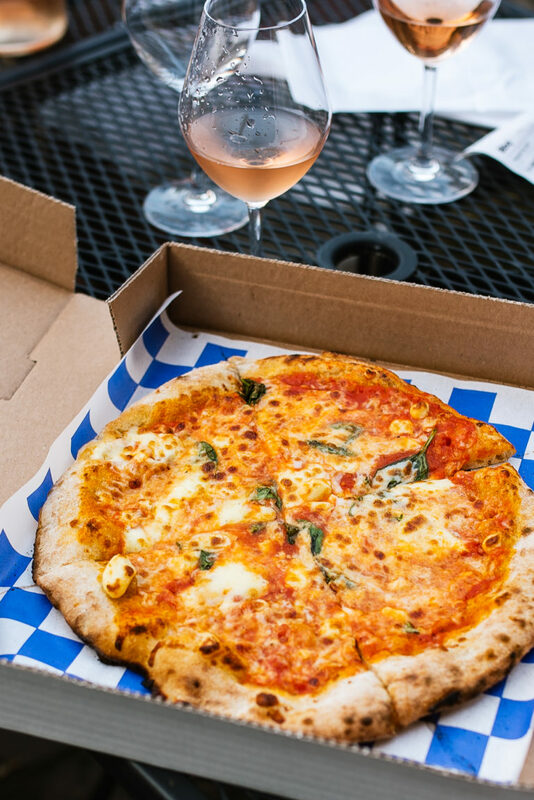 What ultimately won out was a slow, cold fermentation process using Antimo Caputo flour from Naples, Italy—the result is a bubbly, chewy dough, in the same vein as Pastaria and Pizzeoli here in town. The menu has classics, like The Queen (a.k.a. a margherita) and The Vladi, a vodka sauce and meatball pie dedicated to Vladi Tarsenko, but it also has a good amount of more inventive pizzas, as well. 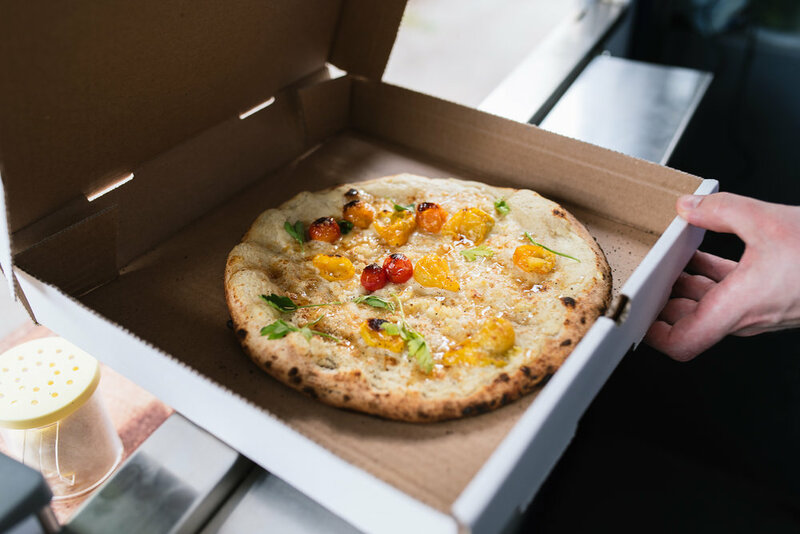 The Veggie, for instance, has a celery root puree based, that is topped with cherry tomatoes, preserved lemon, grana padano, and an infused honey. The Al Pastor uses a Mexican mole for its sauce, plus a queso fresco mix, slivers of pickled pineapple, and shavings of pork belly. With their reasonable prices ($9-12), it’s easy to get a couple pies to share—or, in my case, a couple pies to eat on your own. Pie Hard pizza food truck gets two thumbs up from this guy.